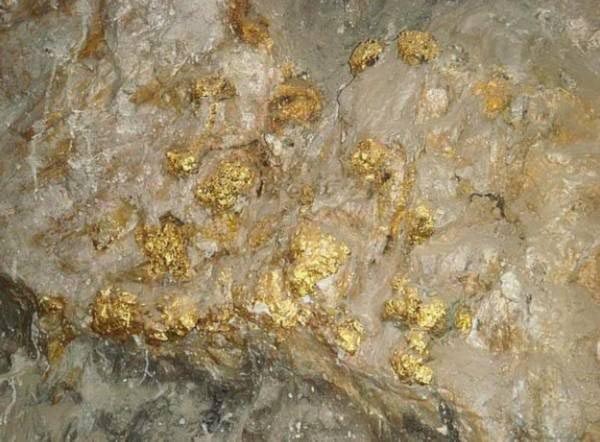 The content of gold in the ore is extremely low. In order to extract gold from its ore, it is necessary to crush, grind, pre-concentrate by ore dressing method or separate gold from the ore. The most used in gold beneficiation is gravity separation and flotation. gravity separation technology plays an important role in the production of gold, and flotation has made the mineral processing method widely used in rock gold mines. The gravity separation method is based on the density difference of minerals to sort minerals. Mineral particles of different densities are subjected to hydrodynamic forces and various mechanical forces in the moving medium (water, air and heavy liquid), resulting in suitable loose delamination and separation conditions, so that different density of ore particles can be separated. Gravity separation is one of the oldest and most common methods of gold selection. In the gold deposits, gold is usually in the form of monomeric natural gold. The particle size is generally greater than 16 tons/m3, which is much different from the density of gangue. Therefore, gravity separation is the most effective and economical method for selecting sand gold. However, in lode gold, gravity separation usually takes effect with the mineral jig, spiral separation and shaker table, preselect coarse-grained monosome gold, make for the subsequent flotation and hydrogenation operations. The main gravity separation equipment including sluice, jig concentrator, shaker. Diaphragm Mineral Jig is very popular in the Chinese gold processing plants. According to the ore size, shakers can be divided into three types: coarse sand (>0.5 mm), fine sand (0.5-0.074 mm) and slime (0.074-0.037 mm). Spiral chute/ spiral sluice is the important machine in the placer gold mining process, widely used in the land and the gold dredger, divide into coarse particle spiral chute and fine particle sluice. Spiral concentrator combines with the gravity, friction force, centrifugal force and water flow, has been the main equipment for placer gold mining/ steam gold/ alluvial gold. Gold amalgamation treatment separates gold and heavy sand minerals, besides, gold amalgamation process combines with flotation processing, gravity separation, cyaniding in the lode gold mining. In gold mining, amalgamation is widely used to separate gold and heavy sand minerals. In the lode gold mine, amalgam is usually used as part of the combined process with flotation, gravity separation, cyanidation, etc., mainly used to promote the collection of coarse grains. Cyanidation process is one of the main gold processing methods, can be divided into agitating cyanidation and diafiltration cyanidation. Stirring cyanide can deal tailings of the gravity separation process, flotation concentrate. Percolation cyanide can process flotation tailings and low-grade gold heaping. The conventional cyanidation process includes the preparation of leaching raw materials; stirring cyanide leaching; countercurrent washing solid-liquid separation; leaching liquid purification and deoxidation; zinc powder replacement and pickling; and smelting ingots and the like. The ion exchange resin method adsorbing and recovering gold from a cyanide slurry by using an ion exchange resin, and is divided into two types of gold extraction methods: RIP and RIL. The principle of the zinc wire replacement method is the action of zinc and the gold-containing cyanide leaching solution, and the gold is replaced by zinc to be converted into a metal state and precipitated. The stirring cyanidation method is one of the cyanide leaching process, suits for the 0.3-0.4mm particle. heap leaching cyanation suits for the low-grade gold, 3-10mm, it is an economic gold process method with a high capacity fewer invest. The percolation cyanidation method suits for the placer gold mine, loose material. Cyanidation solution permeating through the ore layer. CIP applicable to gold-bearing oxidized ore with high sludge content, it is a new process for recovering gold from activated carbon by cyanide leaching. click to know the cip gold processing plant and cil processing plant. The flotation method is based on the difference in the physical and chemical properties of the mineral surface and is treated by a flotation agent to selectively attach the useful mineral to the bubble to achieve the purpose of sorting. The ore dressing of non-ferrous metal ore, such as copper, lead, zinc, sulfur, molybdenum and other mines, some ferrous metals, rare metals and some non-metallic ores, such as graphite ore, apatite, etc all adopt flotation technology. The washed and classified mineral mixture is uniformly stirred in a mixing tank and sent to a flotation machine. sodium carbonate always as an agent to float the gold. At the same time, the butyl xanthate and the amine black medicine as a supplement to separate the gold ore powder from the slag and produce gold concentrate powder. The mineral concentrate after flotation contains water, and it is necessary to use a thickener concentrator to reduce water. Since the flotation cells mineral processing can only maximize the gold enrichment into various sulfide concentrates, and can not finally obtain the finished gold, therefore, there are only a few gold selection plants using a single flotation process, generally, the flotation is used as process part in the whole gold production line. JXSC supply a full set of Gold Extraction Process machines, gold mining equipment manufacturers, original Chinese mineral process equipment producer, gold mining, gold dressing, gold recovery, gold mining accessories, contact us to know the price of alluvial gold mining equipment.